Thy next foe is... The land where trees nary grow... It sleeps in a dry lake bed... A rude awakening. 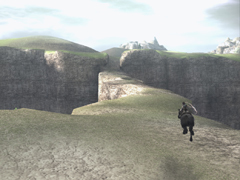 Your way to the 9th colossus brings you to the northwestern end of the temple again, but this time around you don't cross the long natural bridge to the north but you take the way over the bridge to the west that looks more like a natural dam. After some more riding to the west you will see dark clouds on the horizon. This is your destination this time. So ride on until it gets darker (this is because of the dark clouds, what else) and search for the red brown path over the canyon. This small bridge is in the south of the canyon. 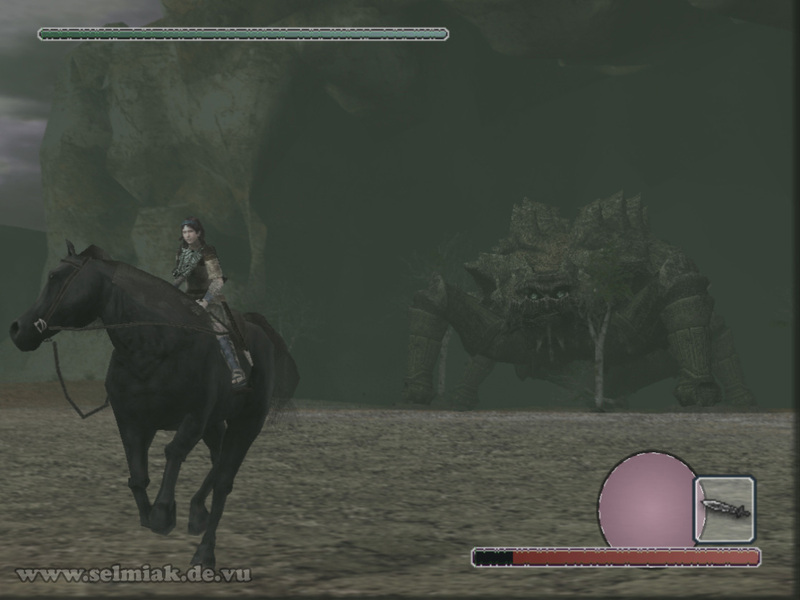 Now ride along the geysers with your victory already in your heart and ride towards a big dark cave in which the 9th colossus is already waiting for you. This turtle like colossus is a really mean bean that uses 2 mean and one halfway mean attacks to get you down and out of his way. 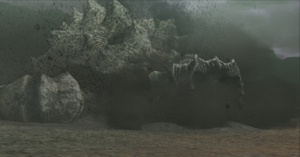 The first attack is a distance attack but can also happen while you are running under him from the front. Then the ninth colossus shoots at you with four to five glowing energy balls that will devastatingly hit the ground near to you. In case they hit you it will be even worse for you, as they don't exactly give energy to you but drain it from you. Badly. 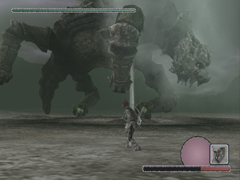 His second mean attack is that he starts to rise and stands on his back legs, then gets some momentum to crash his really heavy front legs down and of course the 9th colossus tries to hit or squish you while doing so. If he misses you with his legs but the impact of his legs is still close to where you stand this can throw you around for good and also take away from your health. 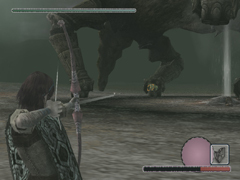 As the ninth colossus is a cool calculating tortoise he only performs this attack if he sees a chance of hitting you, this means he only performs the rise and smash attack if you are near to his front legs. But being near to his legs is a relative thing to say, and he decides what he does, so be careful of he rises and be prepared. Dodge the attack by avoiding his legs of course and then jumping shortly before his legs smash to the ground, this allows you to dodge the shock wave. A good advice is to jump away from him and not only straight into the air. 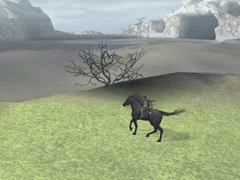 The ninth colossus' last and not that mean attack is an attack he doesn't use that often, but when he uses it you have been hanging around his old and muddy tail for too long. For this attack he uses his tail to wipe everything around it and so everything behind his back. Of course he tries to hit you while attacking, otherwise it would be no attack, so watch out, don't stay around his tail for too long. 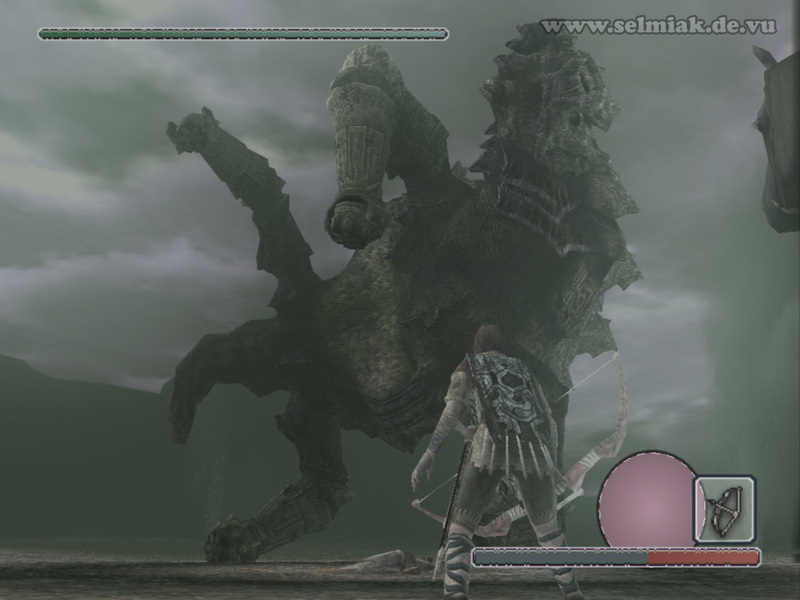 So now you might be interested in how to defeat this huge and mean and crusty 9th colossus, so I will enlighten you with the next paragraphs, but don't forget about the words before, as he will attack you! 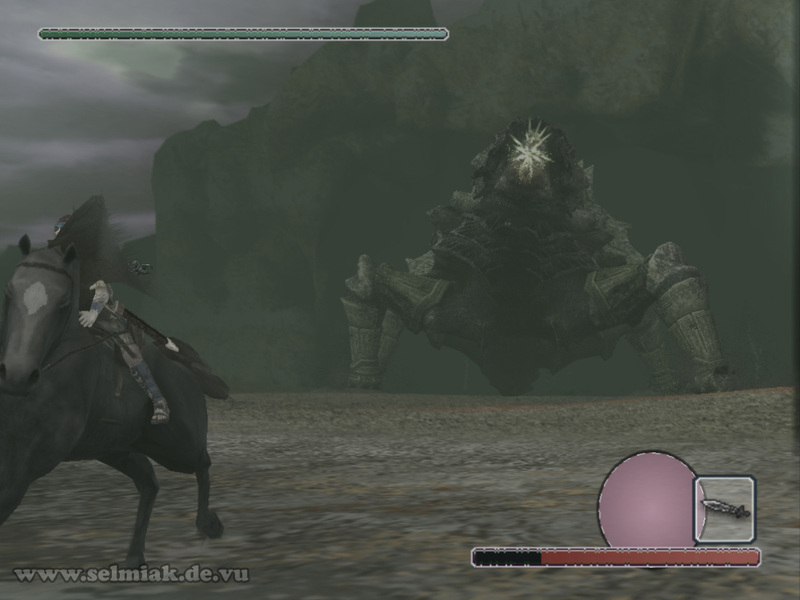 You have to use all weapons and also the surrounding area to beat this beast. At first you have to lure him over one of the geysers. This can officially take some time. Position Wander so that a geyser is between you and the colossus. 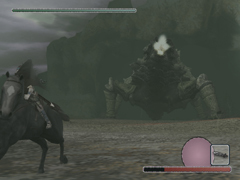 If he shoots the energy balls of his first attack run away to the side and jump shortly before they impact on the ground. This way you can dodge them quite good. 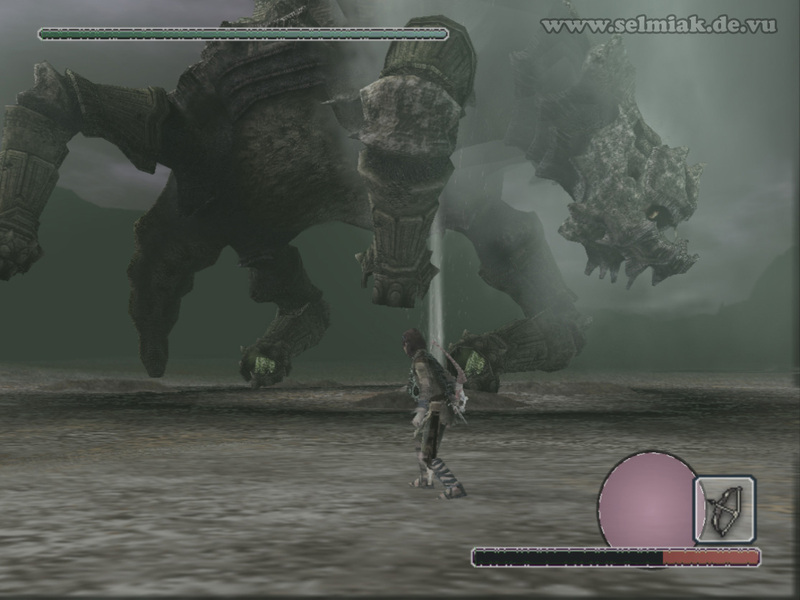 Now make sure the geyser is between you and the colossus again so that he will slowly but surely walk over the geyser. 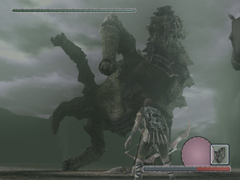 Once the ninth colossus moved its colossal body over one of the geysers and the time is right and the geyser erupts its wet hot fluids over the colossus this guy is thrown out of his balance and two of his knees collapse and he rolls halfway over. So this is your time, run to his collapsed legs and shoot an arrow into the glowing sole of his feet that you now can hit. 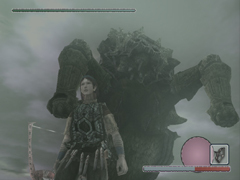 Now the colossus will be completely blown away and lands on his side (after rolling over completely) and offers you the opportunity to climb up on his furry belly. 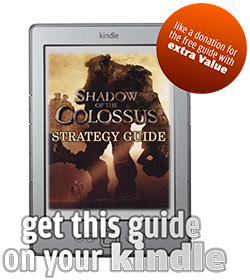 So don't miss this great chance and walk all around the turned over colossus to reach for his belly. 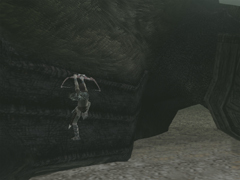 Why does he roll away so far anyways, stupid jurassic beast. So once you walked all the way around him climb all over his furry belly and even further up to the shell on his back. 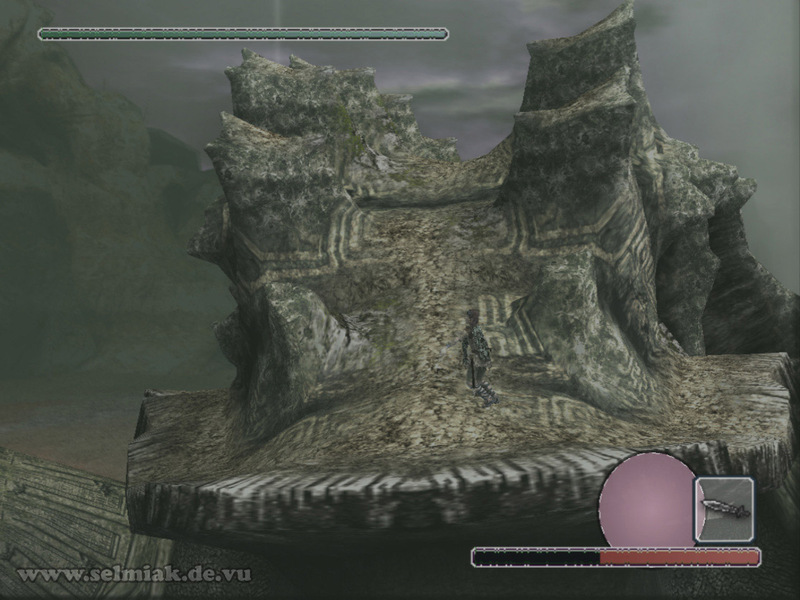 Here you look for a safe place to hold onto and then wait a bit until the colossus gets up again and stands up again. He even won't give up the fight. 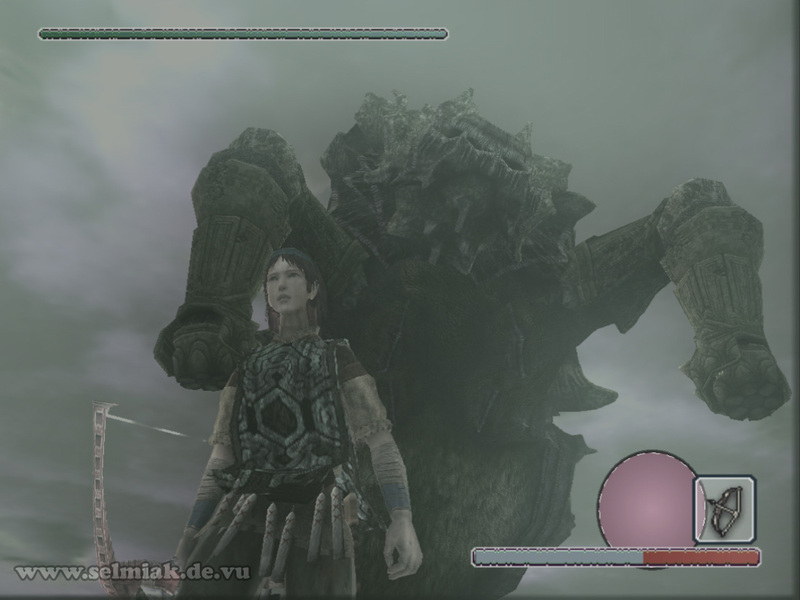 Now you run along the middle of the archaic shield on his back until you find yourself on the small head of the colossus. Watch out that you don't get dropped off. 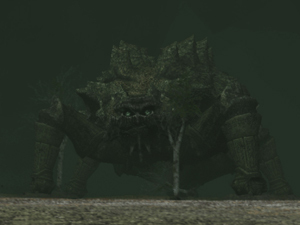 Of course the gigantic beast shakes and waves and tries to keep you from reaching his old head where he can be wounded by you. 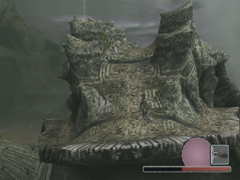 Once you finally made it to the deformed head you can also find the sought after glowing ornament here where you want to blow in your sword until the turtle like colossus goes down and doesn't stand up any more. 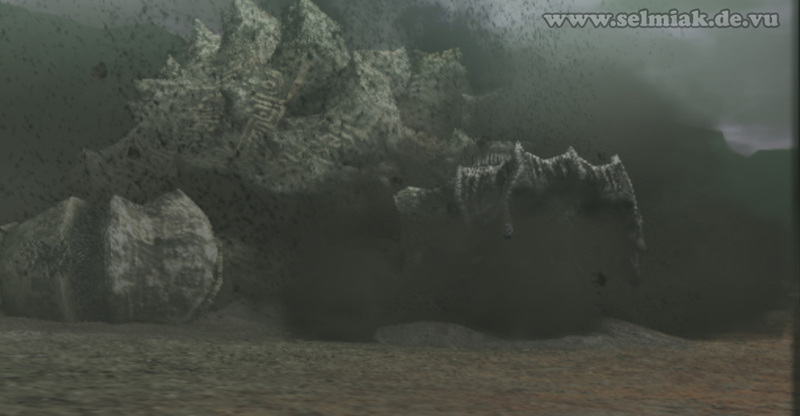 And this is how you defeat the 9th colossus. You can ride towards Basaran, stand up on Agro and jump towards one of Basaran's front legs and grab on to it. 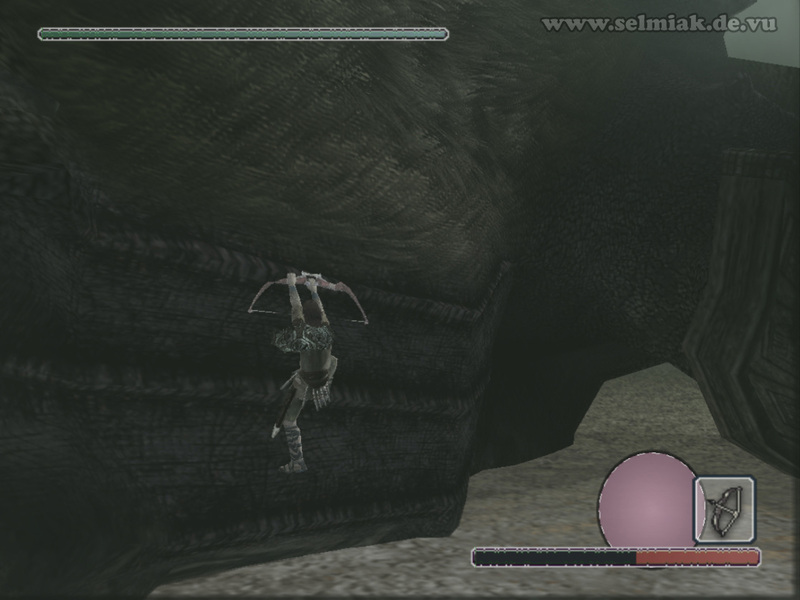 Then wait until Basaran moves the leg you are hanging on up and use the momentum from this movement to jump towards his face, his back or on top of the leg and you will be at the symbol very fast.